Want to keep your pool clean so that you can jump in and relax at any time? With a little maintenance, you can keep your swimming pool clear and clean at all times. Here are five simple yet effective pool cleaning maintenance tips. Filters that get clogged will decrease the proper flow of circulation in the pool. There are different kinds of filters, and each needs to be cleaned and replaced at its proper time. For example, cartridge filters should be replaced every few weeks, while sand filters can go a few years without being replaced. Check your manufacturer’s manual for more information about cleaning and replacing your filter. Whether you use a robotic skimmer to automatically skim your pool or you do it manually is up to you, but it’s important that it gets done. Skimming your pool involves using a filter to clean your pool from debris such as leaves, dirt and small twigs. Algae can stick to your walls and leave stains. That’s why it is important to scrub them regularly. Use a brush (its softness will depend on the material that your pool walls are made out of) to clean your walls from leftover algae. From time to time, you may want to consider shocking your pool. 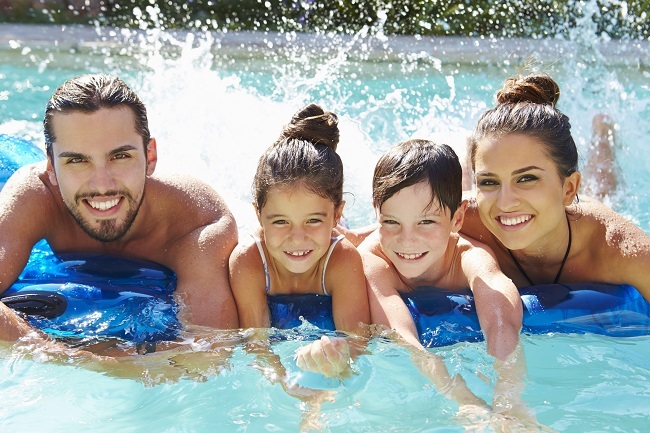 This involves using a higher than usual amount of chlorine to kill any bacteria in your pool and is useful if a lot of people have been using your pool over a short amount of time. However, make sure not to swim in the pool again until the chlorine and pH levels are back to normal to avoid safety risks. Make sure that your water level is at an appropriate level to ensure proper water circulation and flow. You should also check your pool’s pH levels to make sure that the chlorine will be able to work effectively. For more maintenance tips to keep your pool clean, contact us today.